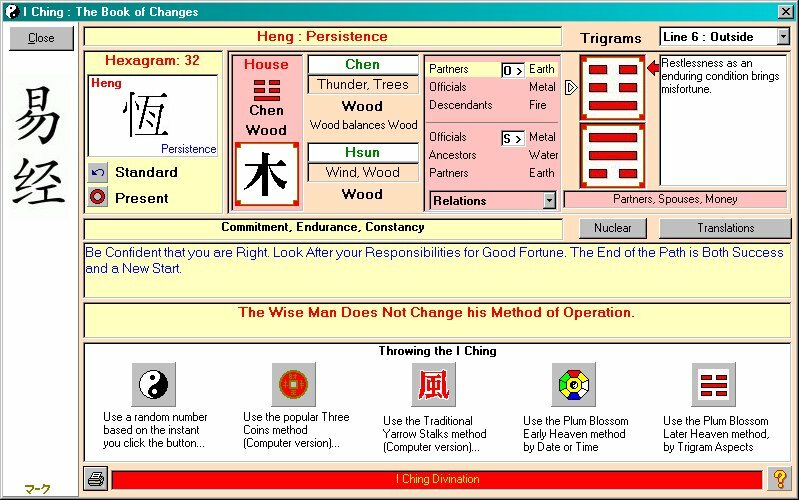 "a really useful product that should be on the PC of everyone interested in Feng Shui." 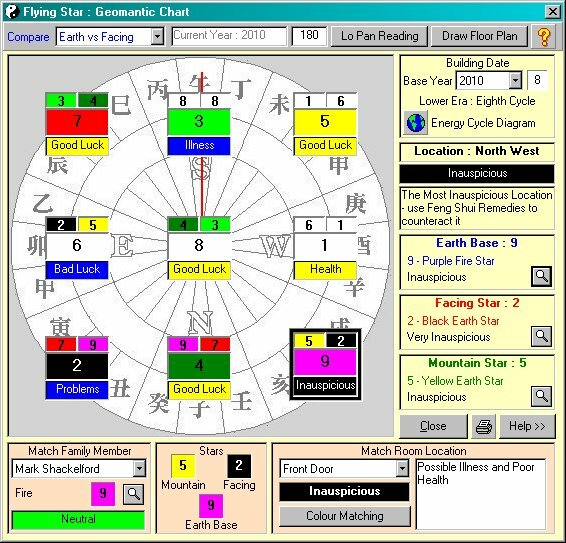 Derek Walters ~ Author of "Chinese Geomancy"
"Visually stunning, and extremely user friendly. A 'must-have' for the keen student of Real Feng Shui"
Jon Sandifer ~ Author of "Feng Shui Journey"
"... it is very user friendly. This product saves a lot of calculation and I highly recommend it." 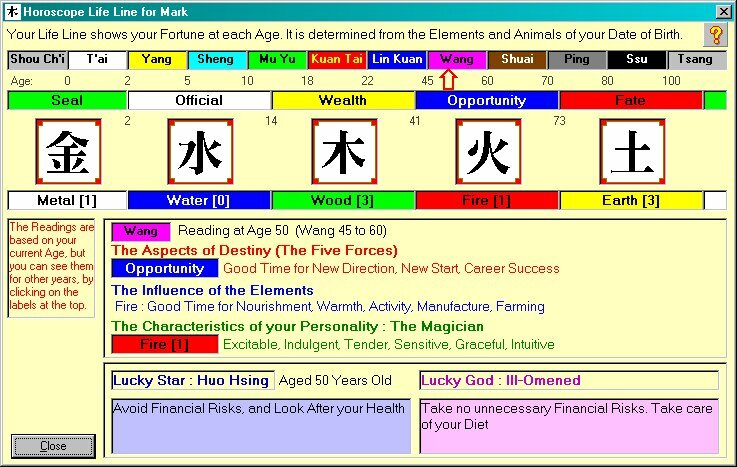 "This CD-ROM is the culmination of years of Feng Shui knowledge, practice and experience, and is an invaluable tool in all your Feng Shui applications." 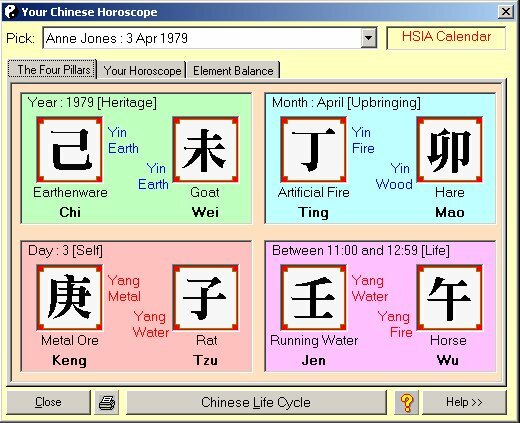 Feng Shui (Chinese for "Wind and Water") is a mixture of Art and Science that has been used for thousands of years in China and the Far East. It is not just a few amusing Animal symbols, but a rich and powerful tool to help you reshape your life, your relationships and your fortune. Much of Chinese science is based on centuries of observation, rather than experiment - and the theories of Feng Shui are a result of this careful, long-term observation of the ways of nature. Modern Feng Shui is used all over the world to help people with their health, their homes, their relationships and their wealth. 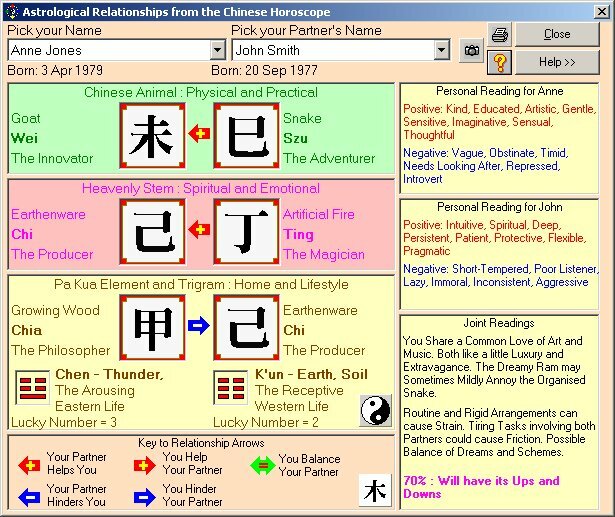 The Feng Shui for Modern Living software is designed to help you take advantage of the power of Feng Shui, giving you direct access to all the different aspects of Feng Shui - from the I Ching oracle, through the various Feng Shui schools (Black Hat, Compass, Flying Star and Lo Pan), to the exploration of your personality and relationships using Chinese Astrology. 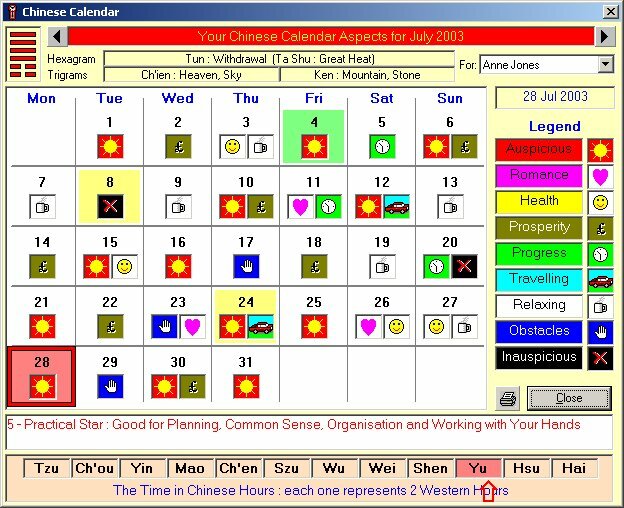 The software has a perpetual calendar - you do not need yearly updates. Just contact mark_shackelford@hotmail.com and we will send the link for your FREE download of our Lite version. You can use this Free Trial to make sure that our software runs on your PC before you order. 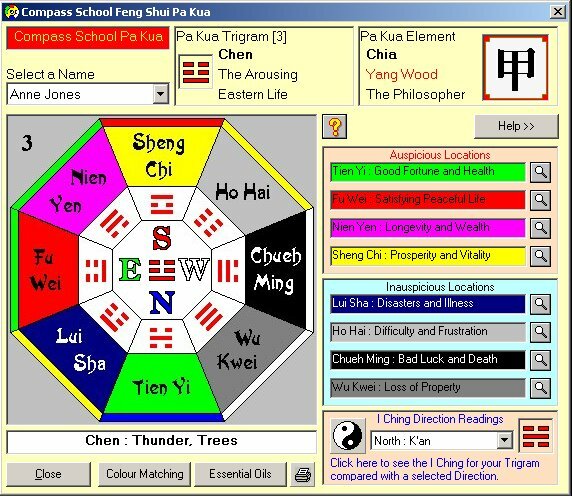 Download our world-famous Feng Shui software to learn and use the ancient Feng Shui techniques for your own home, for your family and friends, and for all your calculations and readings if you are a Feng Shui consultant. Over 10 years of development have gone into this software. Stephen Skinner published Feng Shui for Modern Living with over 30 editions, and a readership of over 120,000. The online Magazine includes Articles from the first 30 editions of the Magazine. 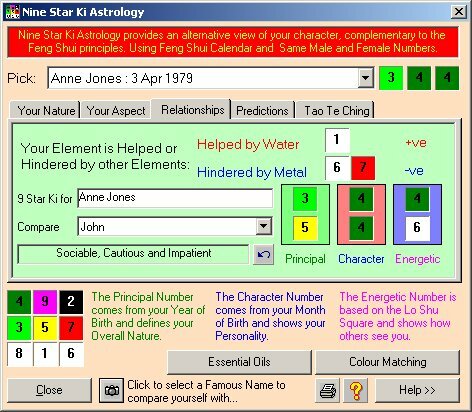 Geomancy - divination by earth - ranks alongside the Tarot, Astrology and the I Ching as an important form of Divination. 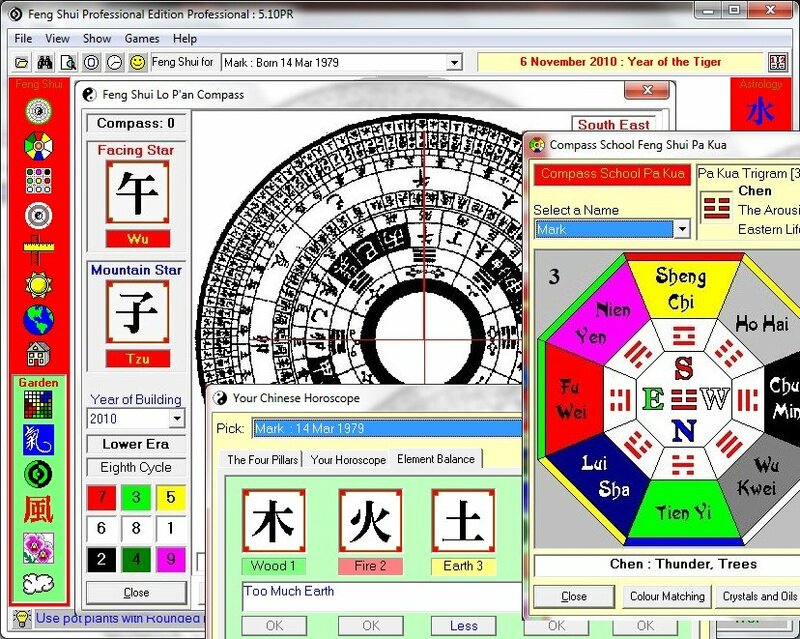 This new program from the designer of the Feng Shui software provides everything necessary for you to perform your own Geomancy. The program also includes a wonderful Runes Oracle with layouts you can design yourself. 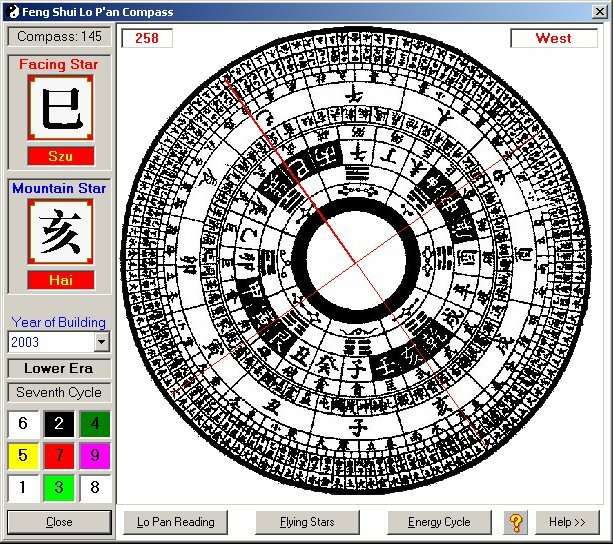 Feng Shui History ~ the story of Classical Feng Shui in China and the West from 221 BC to 2012 AD by Stephen Skinner. Available from 30th November 2012. Click on a picture to see a full screen version. Latest update: 6th April 2018 - website (c) 2001-2018 Feng Shui Publishing International Ltd.